yield and large sized grading tubers. Cooking type B, no discoloration after cooking, very good suitable for production of French fries after harvest, low sensitivity to mechanical damage, internal defects and black spots, starch content 13 – 14 %. Very high marketable yield, large sized uniform grading. Oval, shallow eyes, yellow skin, yellow flesh. Tall, very strong, white flower rapid development and foliage cover. Sevim can be produced on all types of soil. Seed treatment against rhizoctonia is recommended. Apical sprout should be removed. 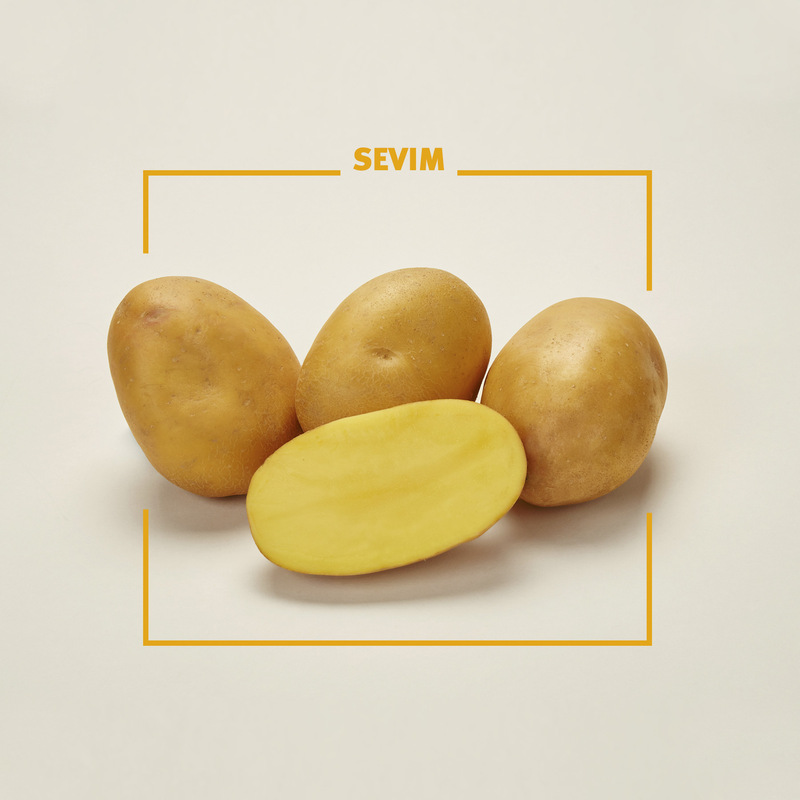 For production of French fries SEVIM should be planted in rows allowing 34 – 36 cm between tubers. N-supply up to 140 kg N is recommended. Phosphorus and potassium according to local standard, application of micronutrients in dry years via leaves. No metribuzin sensitivity, due to a good tolerance to late blight spraying intervals can be less than average, haulm killing by splitting technique. Bavaria-Saat GbR was founded in 1987 as a fusion of several traditional Bavarian potato cultivators, with partly more than 100 years of breeding experiences.